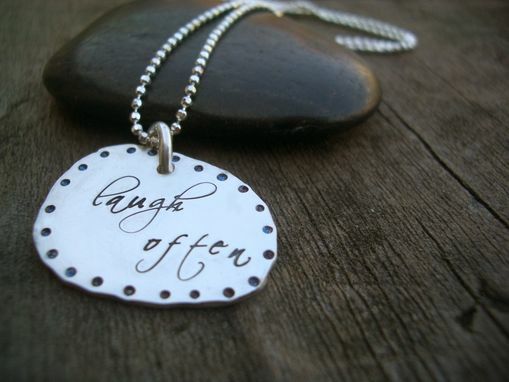 From the Nuggets of Wisdom series comes this hand-stamped custom necklace. 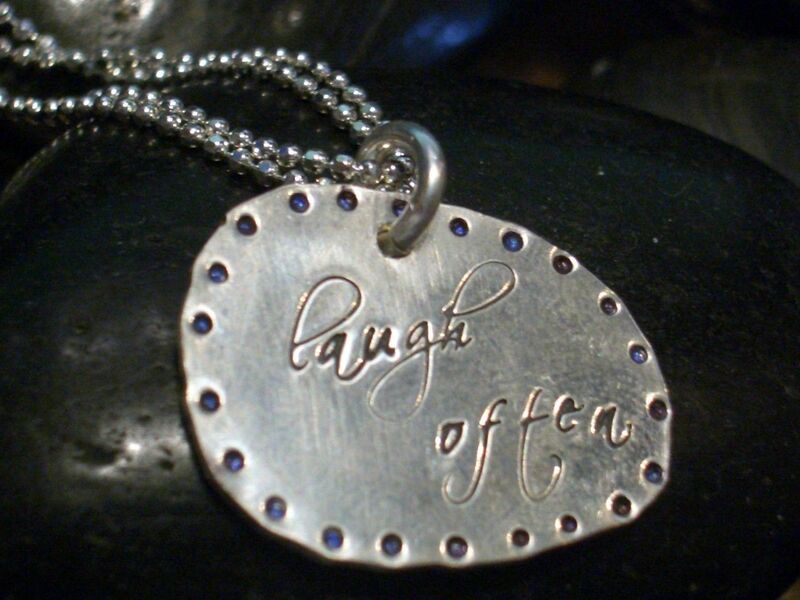 Hanging from an 18-inch ball-chain necklace made from sterling silver is a free-form "nugget'' I hand-forged and finished from the same material. The pendant shown here displays an engraving in a lovely script font, the words of which are bordered by equally-spaced indentations.